If you're determined to be as efficient as possible with your Christmas shopping this year, then you're in the right place because our editors are doubling as fashion elves for the next two months. When it comes to gifts for the women in your life, Whistles has something for everyone on your list. Whether you're looking for an under-£30 treat for a fashionable friend, an extra-special piece to spoil someone close to you or even just need some inspiration for your own wish list, Whistles ticks all of these boxes. Cashmere is always a Christmas crowd-pleaser, and we love the ribbed speckled orange scarf. All of our editors would love to unwrap the cobalt blue funnel neck jumper on the December 25, along with the shearling mittens (but be warned, it'll be a real challenge to ever take them off). 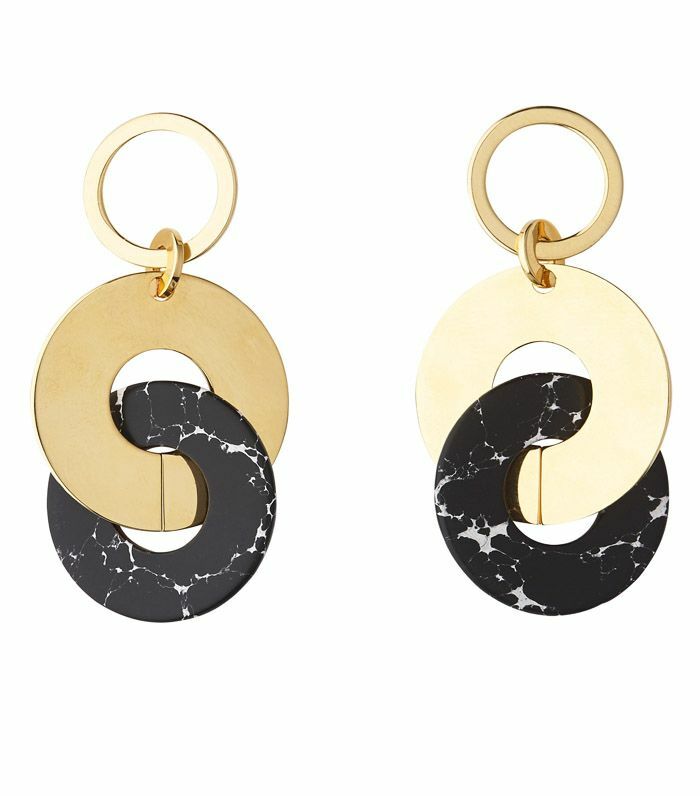 Speaking of accessories, earrings are the most important jewellery trend this year, and Whistles' gold and marble circular pair are just waiting to be Instagrammed. Keep scrolling to shop the nine Christmas gifts we are loving at Whistles right now. The marble makes these very Instagrammable. Who doesn't love receiving a cosy knit at Christmas? The perfect companion for all of your travels in the New Year. This also comes with a matching PJ set. Whistles' earrings department is on fire this season. We are all about colourful accessories this winter. The perfect gift for girls who love leopard print. You can never go wrong with cashmere. Head over to Whistles to see more of its must-have Christmas gift options.